When INFOhio licensed the quality eBooks from Scholastic's BookFlix for all Ohio students, parents and teachers five years ago, we knew we were into something good. With over 130 fiction and nonfiction pairs of popular titles, BookFlix is a resource that engages students, even reluctant readers, and brings them back again and again to read, listen to, and learn from digital text. With a new interface and helpful features, BookFlix is now more user friendly than ever! And INFOhio users sure love the new interface. October 2018 was one of the highest use months BookFlix has had. Are you feeling excited by the idea of this great digital content available to you at no cost? Intrigued by integrating technology into your reading time, but still not sure how to start? Make sure you make the most of BookFlix by taking training designed just for busy teachers and resource-strapped schools and districts. 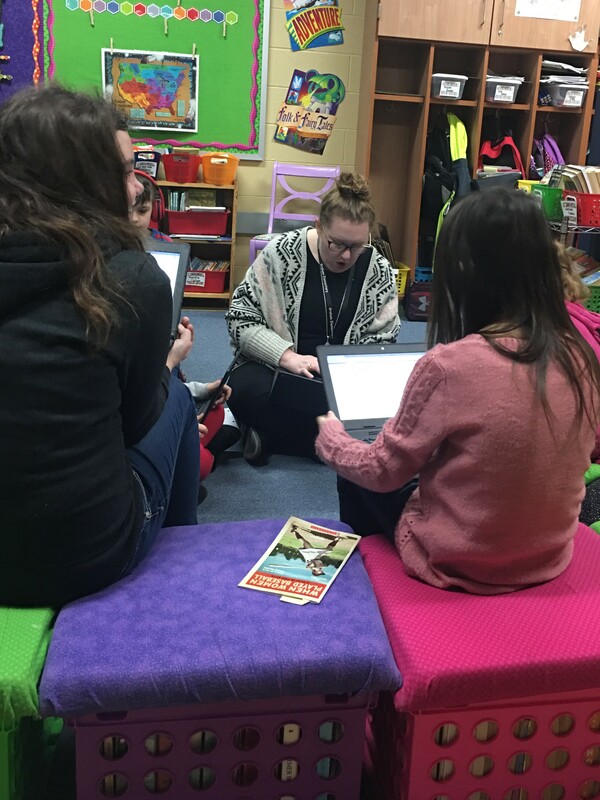 INFOhio has created the BookFlix Mini Training Module to accommodate both individual teachers and groups of staff members who want to learn BookFlix basics and design instruction around digital content. Through our partnership in Libraries Connect Ohio, INFOhio is providing Transparent Language Online to all Ohio PreK-12 students and educators at no cost to Ohio schools. Transparent Language Online is a web-based language learning platform with more than 100 languages, including English. 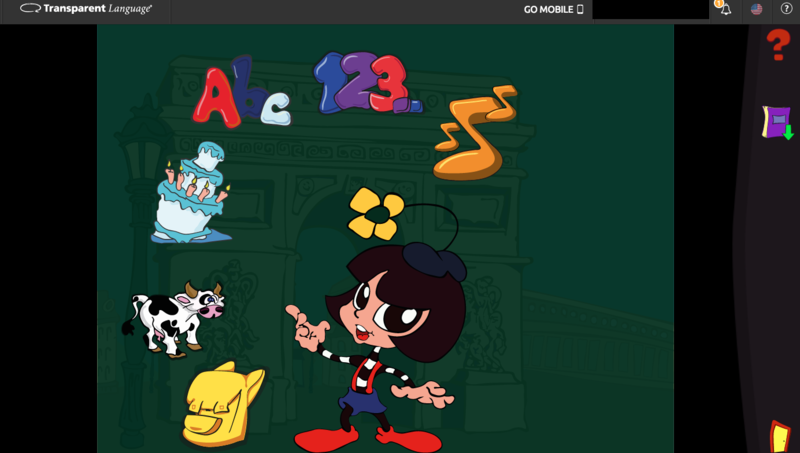 INFOhio is pleased to provide Storia to Ohio 4th and 5th grade teachers and students at no cost. 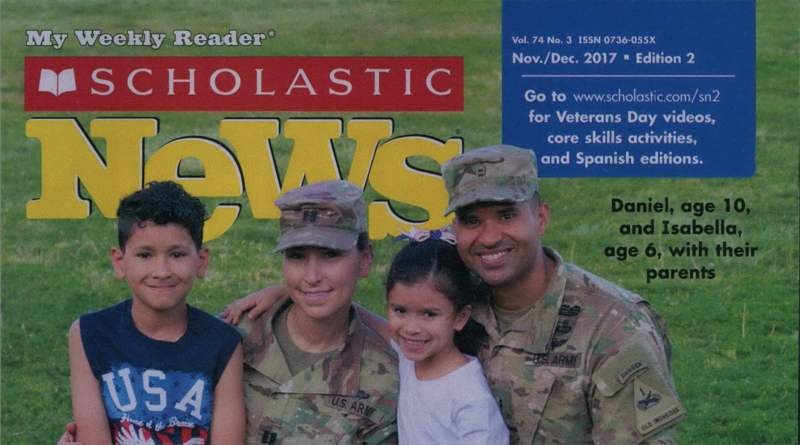 Beginning August 1, 2018, educators who work with 4th and 5th grade students can request an access code for this online reading program which provides over 350 eBooks, both fiction and non-fiction. This post is part of the Teach With INFOhio series "Here's How #INFOhioWorks." 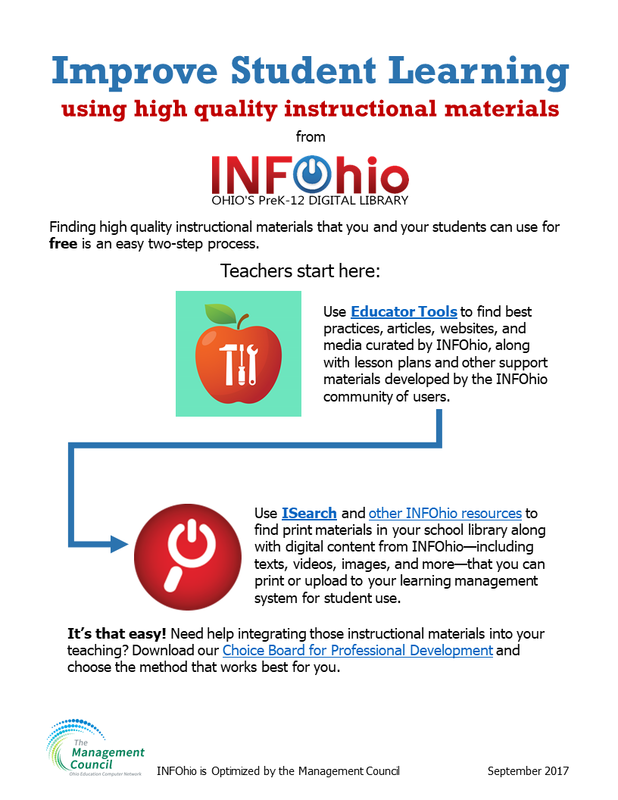 In this series, you'll find specific examples of how INFOhio works for other Ohio educators. Learn some strategies you can try in your own classroom. Then share with us on Facebook, Twitter, and Instagram using #INFOhioWorks!